Sell – Capital Endeavors, Inc.
Before starting down the road to selling your business, we first like to work with you in developing sound reasoning behind your decision to sell. Our goal is to help you achieve your goals of financial freedom, more time to enjoy the good things in life, improved health, etc. The average marketing time from engagement to closing is 7 to 10 months. Remember, one of the first questions buyers ask is “Why is the Seller selling the business?” If the answer does not ring true and does not stand up to scrutiny by the buyer, then the possibilities of completing a transaction are greatly reduced. Have you decided, “What are you going to do after you sell your business?” You need to have thought of what you plan to do with your freedom once you sell your business. Many Sellers will go through the entire process of selling their business only to back out the day before closing because they are afraid of losing their identity once they sell their business. Everyone needs fulfillment from his or her life activities. It is never too early to start forming some beginning plans for after the sale. The two answers to the questions “Why do you want to sell?” and “What are you going to do after you sell?” are paramount to building a strong foundation for a successful transaction. Generally, 3 to 5 years of your financials need to be analyzed to determine what price your business might bring. Then there is a host of additional information that is needed to market your company to potential buyers with a confidential memorandum or Market Profile Study. Generally speaking, the best time to sell your business is when sales and profits are growing, and you have a proven track record of a least three to five years. Planning ahead can make all the difference in the price you can receive when selling your business. Also, you need to determine if you wish to acquire an employment agreement or if you are wishing to work a short transitional period. We can help you develop plans to sell to family members, the current management team, private equity groups, strategic and individual financial buyers. Your goals determine the direction we take! The type of buyer can also influence the price and terms you receive for the company. (a) Develop from various methods a limited price range, which would represent a fair return to you. The report will bring to light the strengths and weaknesses of the company in relation to offering the company for sale. (This step can also be done by an outside third-party appraisal firm. )(b) Suggest various options to optimize the equity value including the timing of marketing the business, with particular attention to tax consequences and advantages of a cash sale, owner carry, etc. (c) Determine, as appropriate, the attitudes and needs of all key personnel as to their interest in remaining with the company under new ownership, employment contacts, terms, conditions, etc. Remember that the key dollar amount you are interested in is not “purchase price” but “pocket price”. Pocket Price refers to the dollar amount you are able to put in your pocket once you sell the company. Once the purchase price and terms have been estimated, the next step is to determine your closing costs and apply any other liabilities that may exist- accounts payable, bad debt, lease payoffs, loan payoffs, liabilities not shown on the balance sheet, warranty escrows, etc.We work very closely with your CPA to determine how to best structure the transaction in a fashion that will benefit you with the pressures of the market. Once your after-tax pocket price has been determined and you are comfortable with the result, marketing the business is the next step. •Individuals – these buyers are looking for an investment as well as a job. •Small groups – these buyers are also looking for an investment as well as jobs that meet their specific skills. •Strategic-synergistic – these buyers could be direct competitors, vendors, customers, or buyers from indirect markets that would still have synergy with your business. •Financial – these buyers can be individuals that are just looking for a good investment and do not plan to be a part of the day-to-day activities. These buyers can many times be private equity funds, which purchase your company as a platform business or an add-on. Generally a platform business needs to have an EBITDA of $1 million to $2 million at least. Add-on businesses are businesses in which the buyer already has a platform and is interested in adding market share or products to their lines. We develop a marketing strategy, which will determine the preferred type of buyer and best method of contact. Our methods of contact are all discretely handled so that no potential buyer can determine the actual name or location of your business until they have met your qualifications and have signed a confidentiality agreement and non-disclosure statement. We have a variety of methods for contacting potential buyers: (a) our exclusive database of buyers; (b) confidential letters to select buyers or buyer groups; (c) internet listings at various web sites; (d) intermediary multi-lists (e) trade publication advertisements; (f) regional newspaper advertisements; etc.Once buyers have been given a generic summary sheet on your business and are further interested, they then sign the confidentiality agreement and receive a complete Market Profile Report. This Marketing Report provides a pre-qualified buyer with all the data necessary to evaluate the potential for acquisition. When completed, this Marketing Report anticipates most questions raised by a prospective buyer. It delineates the existing position of the company, its potential, goals, and requirements, and establishes the ability of the current management.If their interest and qualifications continue to satisfy you, generally the next step is a meeting with the buyer. After a few additional questions have been answered, the negotiating stage begins. 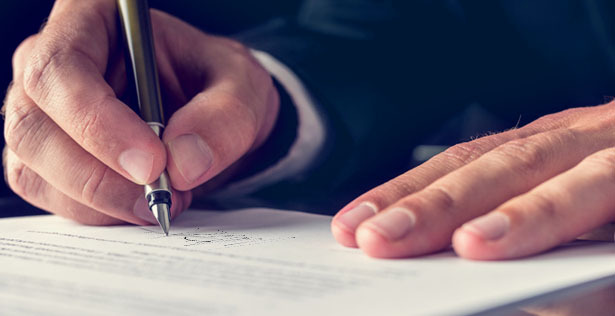 Generally, the buyer puts down their intention in a “Letter of Intent” (LOI). This is a non-binding agreement that can have earnest money attached to it. Once a suitable LOI has been submitted and accepted, the buyer begins “Due Diligence”. This period involves the buyer becoming satisfied with everything that you have represented.Many times the parties’ attorneys will begin drafting contracts during the due diligence period or at the completion of due diligence. We do not act as legal counsel, but Capital Endeavors is involved throughout the negotiating and closing. We act as your quarterback in bringing the transaction to fruition. If you do not have qualified counsel to assist you during this period, we have a list of legal and accounting counsel for you to choose from depending upon your needs and wishes. Many times, it is very important to the Buyer that the Seller stays on for a transitional period. Depending upon the situation and the company, this period can be from two weeks to 2 years. On some occasions, there is no transitional period if the Buyer is already an industry player, although this is very rare. Compensation for the Seller during the transitional period is negotiable, but it is traditionally included as part of the transaction.